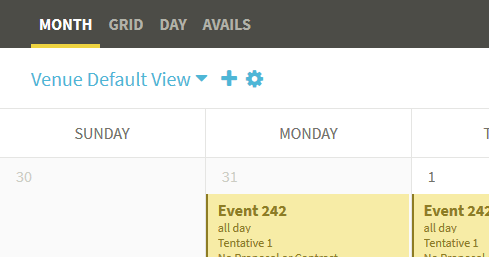 In VenueOps, you are able to create custom calendar views. 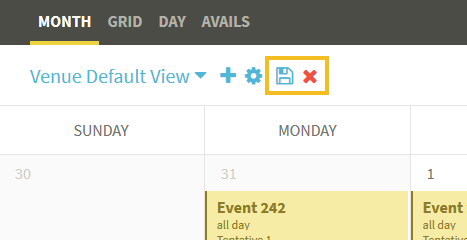 You may wish to only see confirmed events, events with a balance due, only events in certain spaces, certain event information, color code your calendar by space, status, or type — or any combination of those! You may create as many views as you wish. 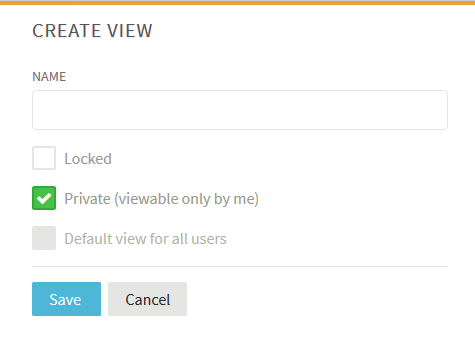 Views can be shared with other users, but only Admins can lock views. If you aren't an Admin, we don't recommend sharing views since anyone can change them. You may publish a view to an external calendar application such as Outlook, Google Calendar, or Apple Calendar (see this article for more information). Filtering Options: filtering out certain events by staff assignment, account, status, types, rooms, etc. Make the desired changes to your view. 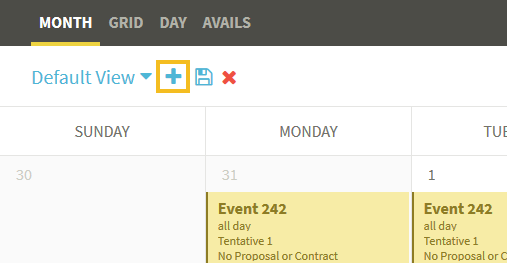 Click the plus by the view list in the upper left corner of your calendar. Create a private view, which only you can see. If you would like to share the view, uncheck Private. If you are not an admin, this is your only option. Lock the view. If you are sharing the view with other users, we recommend locking it so others cannot change it. Make the view the default view for all users. This view will load for your users instead of the system default view. 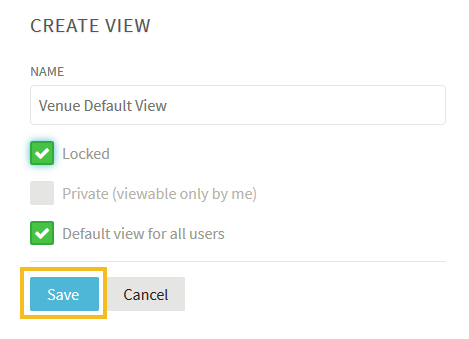 Once you have named your view and selected your options, click Save. Your new view will now be the selected view. If you make any additional updates to your view, the Save and Clear icons will appear. Click the save icon to save your changes, or the clear icon to remove them.